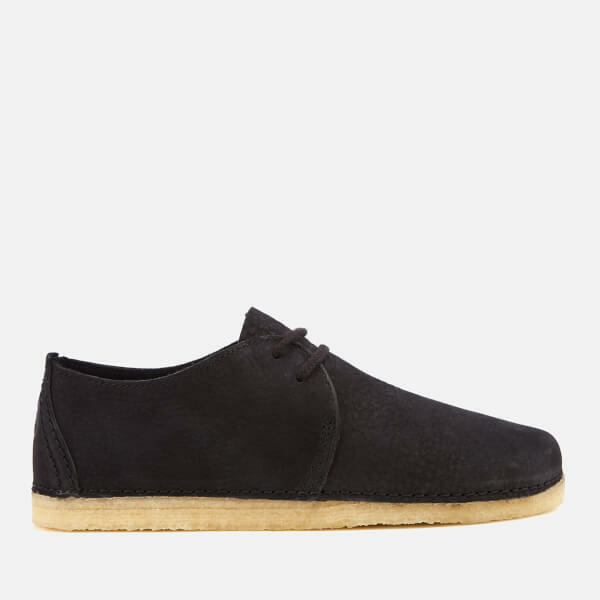 Black nubuck shoes from Clarks Originals. 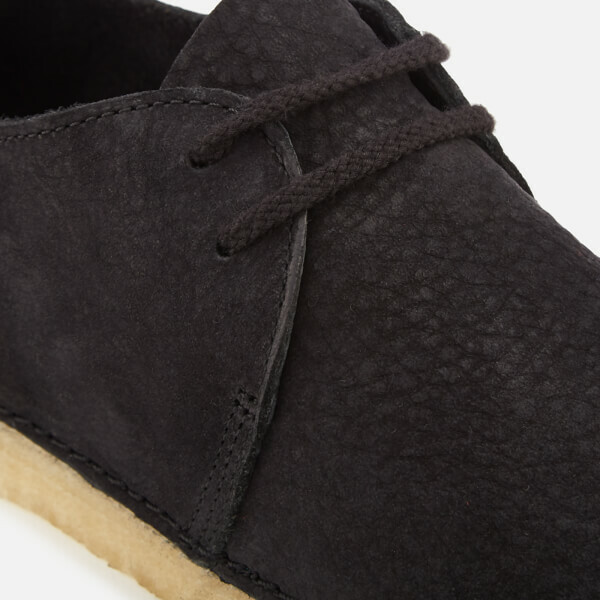 Crafted from smooth nubuck, the ‘Ashton’ shoes are inspired by Clarks’ classic ‘Desert Trek’ silhouette, which was first introduced in the 1970s. The lace fastened shoes are designed with a hand-stitched sachetto construction for a blend of comfort and flexibility. 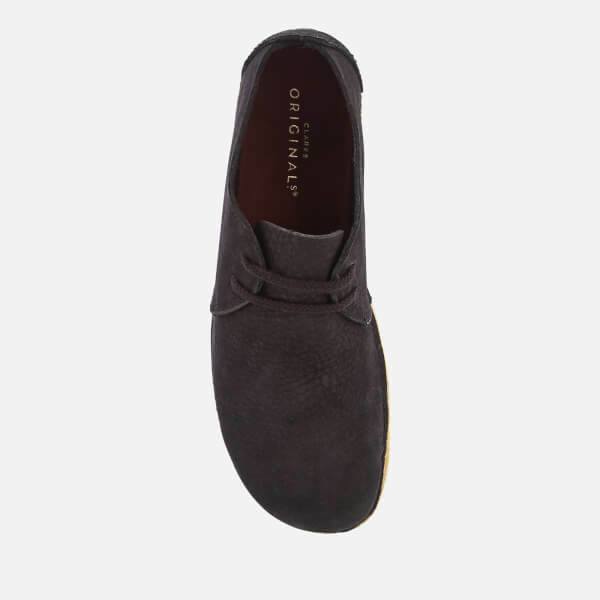 Lined with luxurious suede, the shoes are finished with a signature crepe rubber sole, tonal topstitching and a debossed hiker logo on the heel. Upper: Nubuck. Lining: Suede. Sole: Rubber.